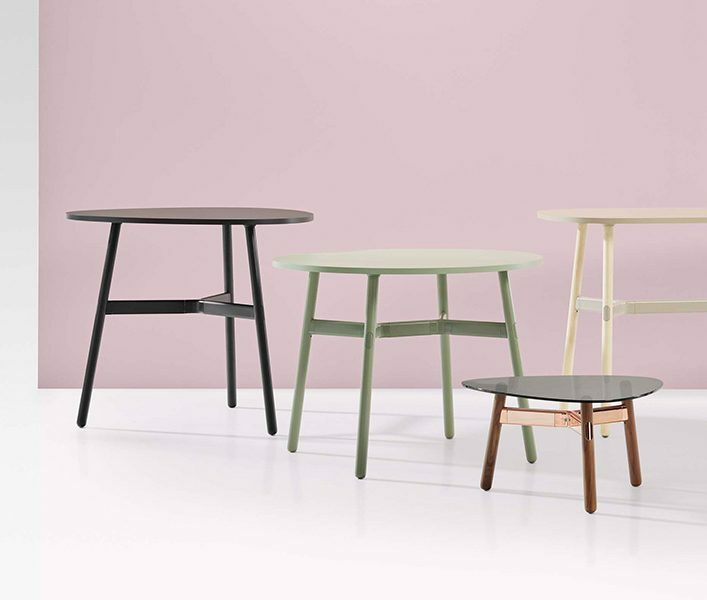 i.am is a totally flexible and versatile table base that provides a complete family of product options for the commercial environment. 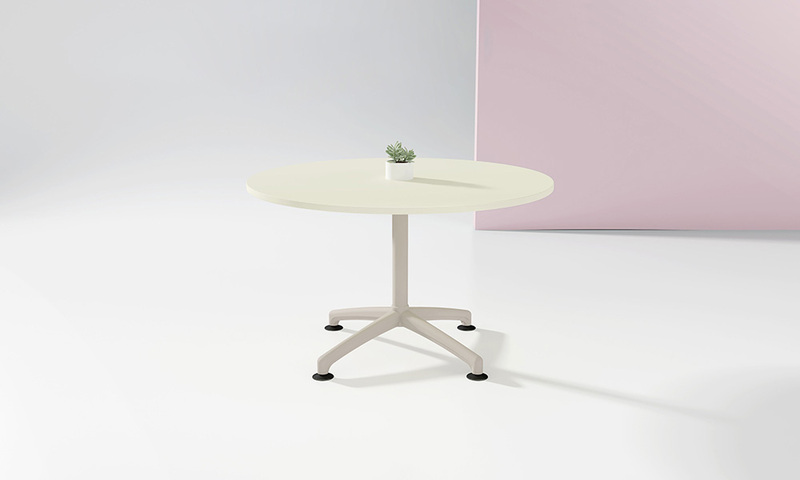 i.am provides options such as a tilt-top stacking table (i.am Turn). 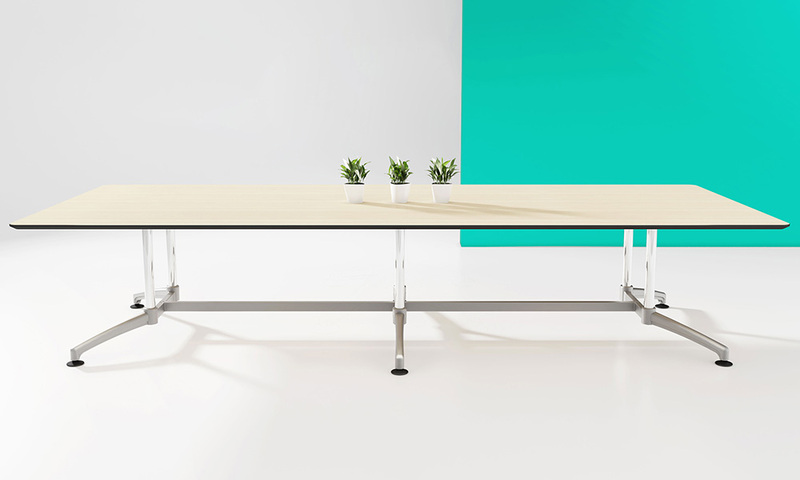 By adding frame spacers, legs and feet, the possibilities with i.am are endless, accommodating desks and tables with a variety of top widths to infinite length. With smart design and clean execution of lines, i.am easily integrates into any space and its surrounds. A great all round solution when aesthetic is important. 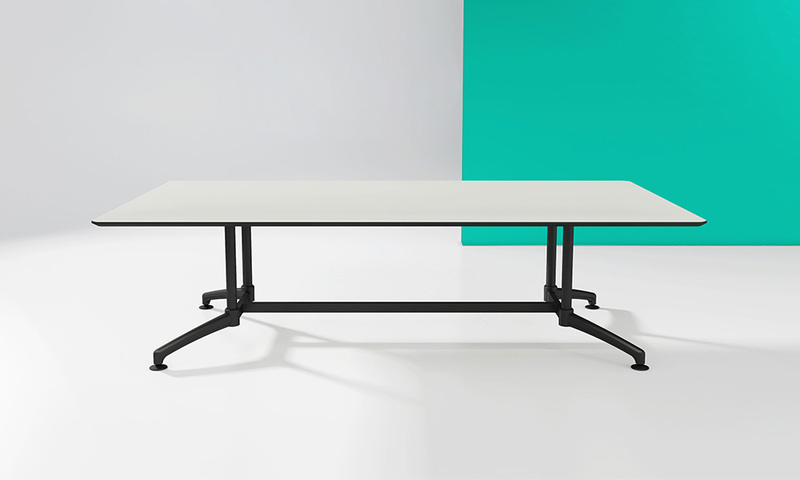 Available as the i.am Turn - folding table. The i.am top is available in 4 rectangle models and 2 circle. Circle top frame available with 4 star, 5 star or multi-leg. 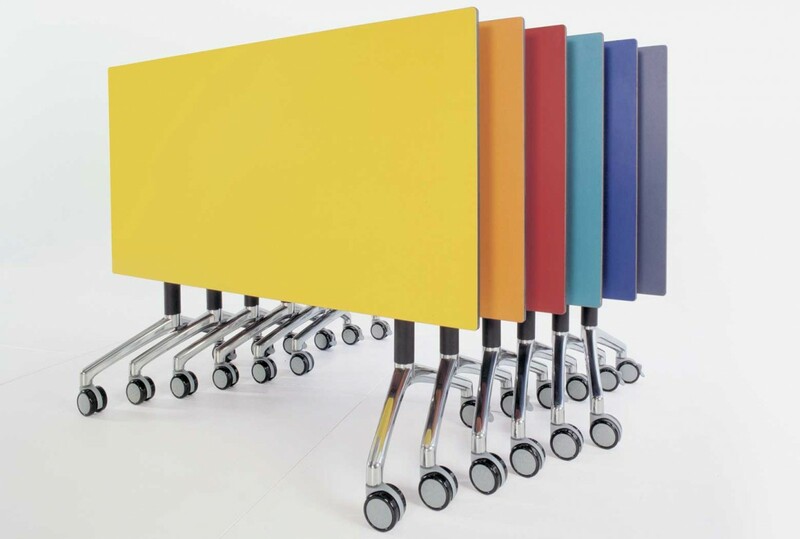 The i.am table range covers single, mobile, folding, boardroom, conference, visitor or just plain multipurpose corner table. 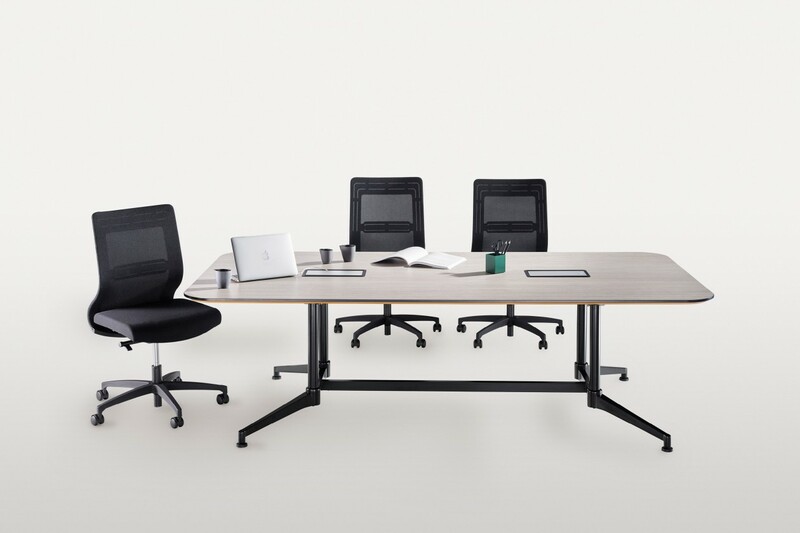 i.am Turn is a tilt-top stacking option Suitable for hot-desking, breakout areas and offices that require constant change, i.am Turn can quickly and easily be tilted, moved and stored. Manufactured using recyclable materials including steel, aluminium and polypropylene and is easily disassembled for the recycling process. Can be complemented by FUEL, a fully integrated cable management system.